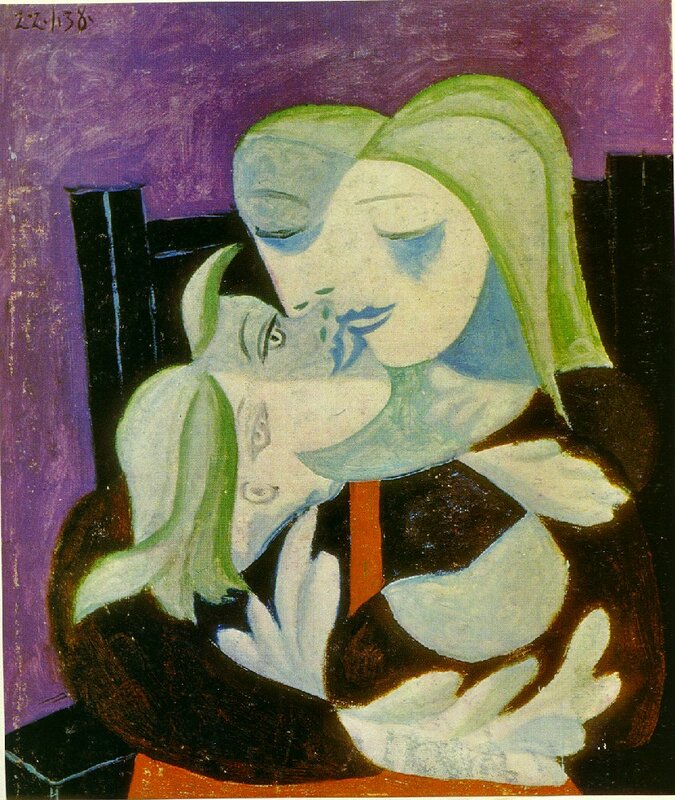 "Mother and child (Marie-Therese and Maya)"
Mother and Child was also inspired by Picasso’s own life. Three years earlier, he had married Olga Koklova, a Russian dancer, with whom he had a son in 1921. For the next few years, Picasso produced at least 12 images of mothers with children, returning to a theme that he had explored during his Blue Period, though his new works were radically different in their sculptural quality and monumental scale. Лилия Светличная on Twitter: "!!! "@annamariafdr #PICASSO "madre e figlia" 1938 #Artwit http://t.co/lC7x6ZBHfx ""